No, I am not opening a political debate – just pontificating about how your guests will be presented with the entree on the big day. It can be a difficult thing to choose one meal that will make 100 people from far flung states and a range of ages all happy. The truth is, you will never make everyone happy, but should try to please as many as possible. If you decide to give the guests a choice ahead of time, you will have to list the options on the invitation. I admit, this is not my favorite. I think is can look a bit tacky, but if you have to do it, make sure that your guests have to indicate who ordered which dish. There is nothing less elegant than a waiter holding a plate asking did you have the fish? Table side ordering is a possibility at many hotels, but is an expensive endeavor and requires more time for the kitchen to prepare. 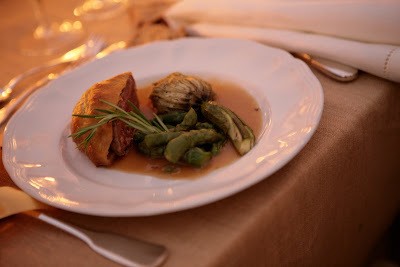 One of our brides will be having an extra course and a dance set so the chef can cook her guests meals. An elegant experience to be sure, but not for every bride. So neither feels right, what are you to do? Many are opting for a duo. This means every guest will get two proteins on one plate. Being DC, we see lots of crab cake and steak. Let’s face it, it’s a classic for a reason! It’s true, corporate parties are more profitable…but there is truly nothing like creating the wedding that a bride has dreamed about. A huge thank you to our bride and groom from last week for sharing a sneak peak of their big day. We couldn’t have done any of it without Shawn from Beehive or The Happy Couple photography. Don’t you just love when a plan comes together? oh my! that’s exactly what we’re looking for… a city boy and a country girl.. “Urban Barn”… i’m in love! :)looks spectacular. what is the venue?? Kristen – on the contrary! A city girl and a country boy :-). This wedding (ours) was held at Halcyon House and we loved every minute of working with Aimee, Danielle, and team to make it happen! 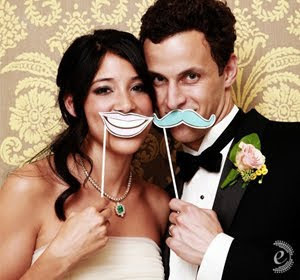 Between photo booths and polaroid guest books, chances are good, that if you attend a wedding this year, you will have the opportunity to leave your portrait behind. For a more whimsical photo session we love adding a few props. We have used open picture frames, poster board and markers to write messages. 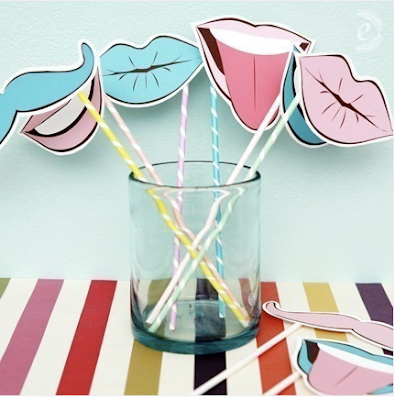 One of the ladies on our team ran across these props- Smitten Sticks. We love them and we think your guests will too. A big bang for $35!! My favorite new event trend is the food truck. Not only is it a great surprise for your guests it is so easy to arrange. 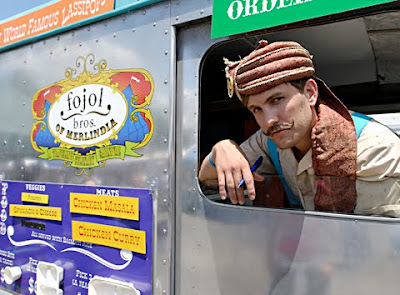 Just call the Fojol Brothers (known for their yummy Indian food and crazy uniforms) or Berliner (for classic Good Humor ice cream in a vintage truck) and they will come to your party, serve your guests and leave you with no clean up. Now that is the way to eat and run!